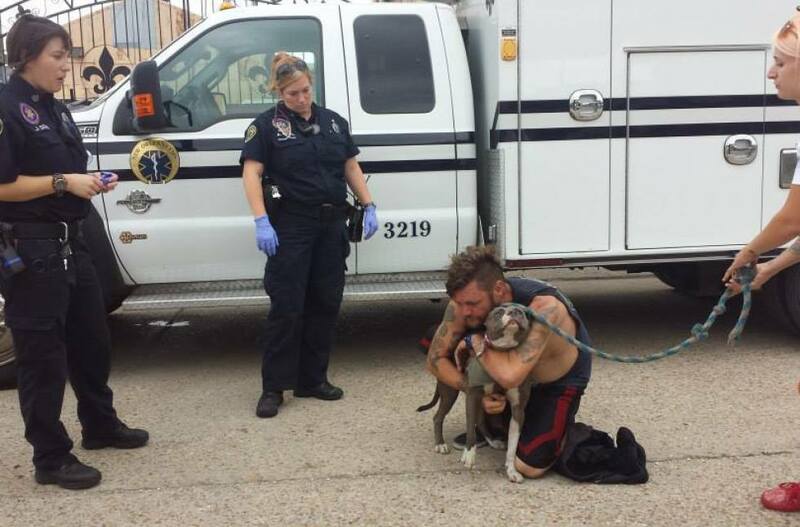 This is Karma the dog being reunited with her owner, Rick, who’d been taken away in an ambulance a couple of weeks earlier. About a month ago, Rick turned up at the Villalobos Rescue Center with his dog and a bad infection. He’d gotten sick, he said, when Karma fell into a river and he jumped in to save her. 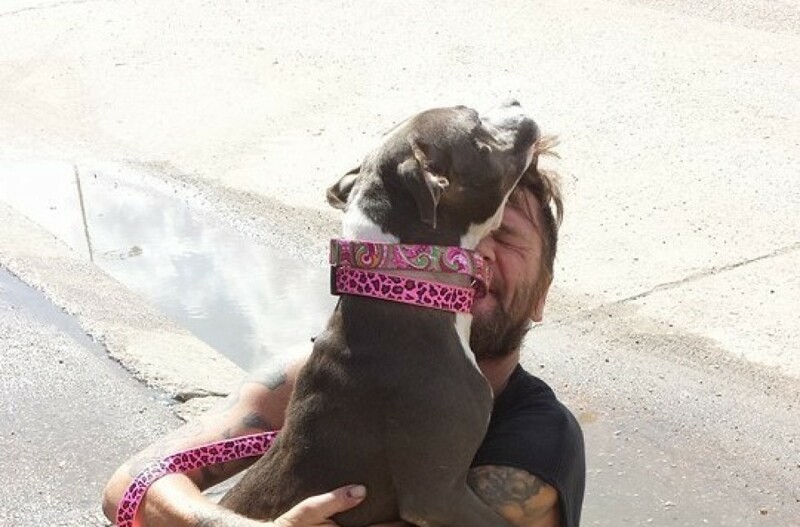 “It’s no big secret that the waters of Louisiana are not always that healthy,” says Tia Torres, who runs the New Orleans-based Villalobos Rescue Center, where the TV show “Pit Bulls and Parolees” is set. The rescue is home to hundreds of formerly abused and abandoned pit bulls who are tended to by ex-convicts. Torres called 911, promising to look after Karma until Rick got out of the hospital. It was the first time she’d agreed to take in a dog under these circumstances, but “only when he knew his dog was safe would he get in the ambulance,” she says. Torres had met Rick before, when he’d come by for food and medical care for Karma. Not knowing Rick’s last name, or even to what hospital he was being taken, Torres wasn’t sure how long he’d be away or even if — despite his obvious affection for Karma — he’d come back. Post by Villalobos Rescue Center. People who read about Karma’s limbo on Facebook, where Torres posted photos of the girl and updates on her predicament, sent in pink collars and other gifts. Karma appeared healthy, and Torres says she’d started to come out of her shell — but she still looked a little uneasy. Fortunately, some two weeks after he left — which is more than three months in “dog time” — Rick came back for Karma. And Karma gave him the warmest, doggiest, most loving greeting there is. 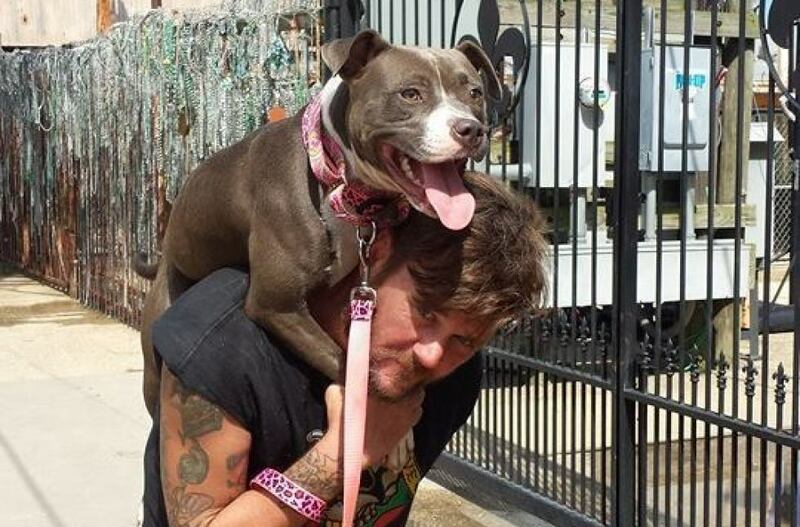 As anyone who’s watched “Pit Bulls and Parolees” knows, Villalobos is a place where both people and animals with rough starts can get their second chances. “Always pay it forward because one day it could be you needing help,” says Torres, who was so moved by Rick’s devotion to Karma, and Karma’s to Rick, that she’s set the pair up in temporary housing and offered Rick a job working at the rescue center. He is part time there now, with the hopes that it’ll go well, and the hours will expand. Call it the redemptive power of love. Or maybe just chalk this up to Karma. 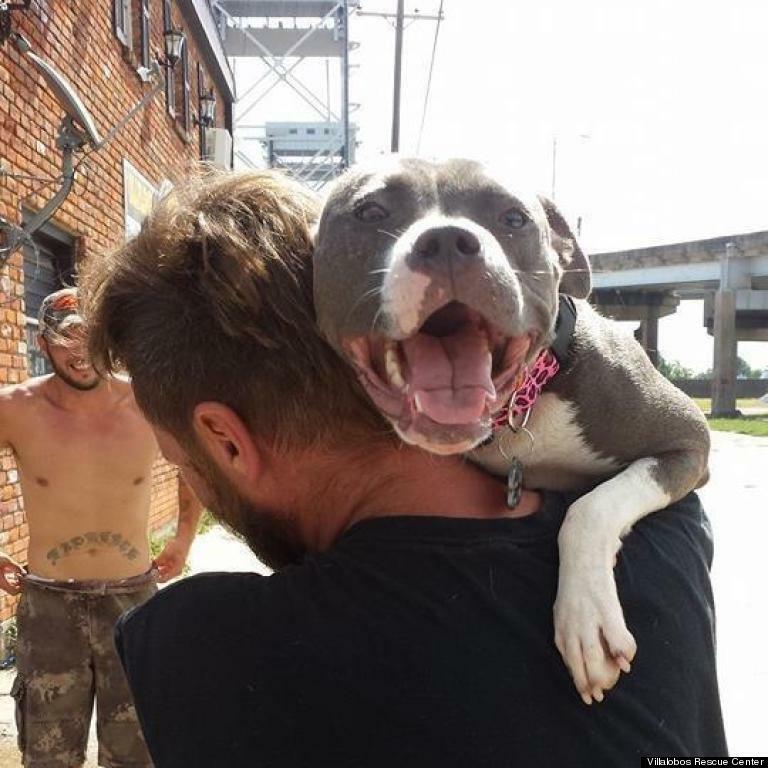 The new season of Pit Bulls and Parolees starts on Oct. 4 on Animal Planet. Find out more about the Villalobos Rescue Center on their Facebook page. Anyone who would like to contribute to Rick and Karma can do so here — Torres says that donations earmarked for this pair will be distributed accordingly.